Heritage Place kicked off their 35th annual Winter Mixed Sale on Thursday in Oklahoma City. OKLAHOMA CITY, OK�JANUARY 17, 2012�Four of the top five sellers in the opening session of a the three-day Heritage Place Winter Mixed Sale, that began today in Oklahoma City, were sold by Royal Vista Ranches, LLC Agent for Lucas Racing, Inc.
"There was a large crowd on hand for the first day and a good set of horses to start the weekend," Spence Kidney, Director of Heritage Place Operations said Thursday night. "Nearly 92% of the horses that passed through the ring were sold. We had a great offering from Lucas Racing, the herd reduction of Bobby Cox and dispersal of Joyce and Troy McClennan proved to be a great addition to our consignments this year," he added. Grant Farms, LLC from Pineville, Louisiana, acquired the top two sellers, Seaside and Corona Deluxe. Seaside, a stakes-placed full sister to world champion WAVE CARVER and champion Ocean Runaway brought a final bid of $86,000. She sold open. Grade 1 placed Corona Deluxe sold for $82,000. The open daughter of Corona Cartel earned more than $168,000 and is the dam of stakes winner Country Boy Deluxe. Both mares had 2013 embryos that sold separately. The other two high-seller's for Lucas Racing, Inc. were Ocean King, a 2-year-old half-brother to WAVE CARVER and Ocean Runaway, sold for $67,000 to Ocean King Partnership, and Special Ela, a stakes winning Special Leader mare purchased for $60,000 by EG High Desert Farm. She was in foal to Stoli. Grant Farms were the leading buyer on day one with seven purchases for $235,700. EG High Desert Farm had six for $133,700 and Valeriano Racing LLC Joel and Alex Valeriano purchased five head for $155,700. Royal Vista Ranches, LLC Agent for Lucas Racing, Inc. was the leading consignor on the first day with 30 head totaling $559,950. Bobby D. Cox sold 43 head for $380,600 and Maui Farms, Agent For Joyce or Troy McClennen Dispersal had 32 head bring $283,700. IVORY JAMES was the #2 leading covering sires by average in the opening session with two mares average $13,750 and first sale crop sire DOMINYUN had three mares average $12,833. 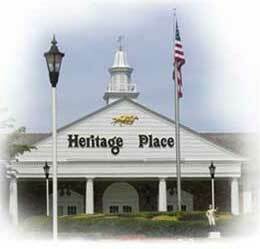 Heritage Place reported 322 horses sold for a $2,553,800 total and $7,934 average. There were 34 repurchases for $272,600. Opening day total gross receipts was $2,827,400. For unofficial results, including hip-by-hip, prices CLICK HERE. Day 2 will begin promptly at 10:00 a.m. Friday featuring hips 393 thru 784. Immediately following the sale OQHRA will hold a Reception and Centennial Race Track Reunion in the Heritage Place Restaurant & Club.